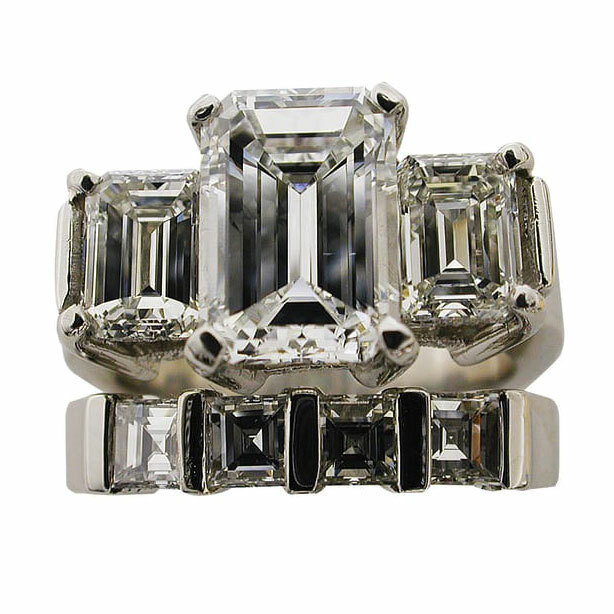 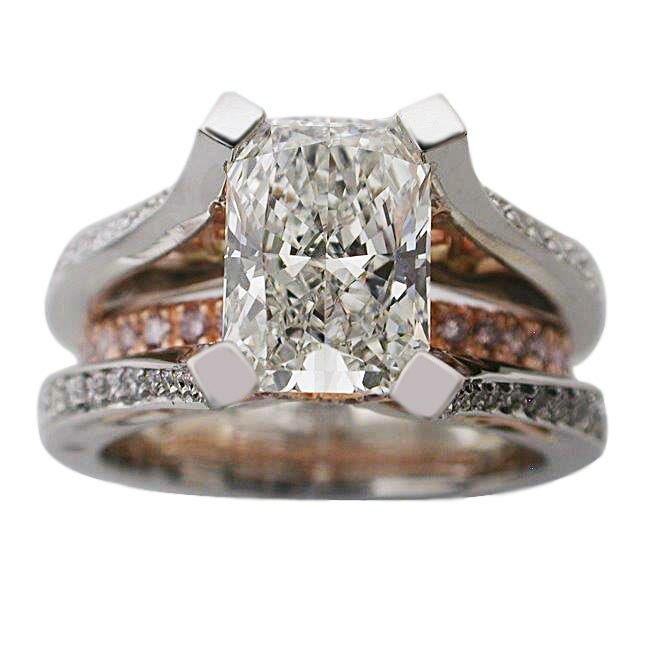 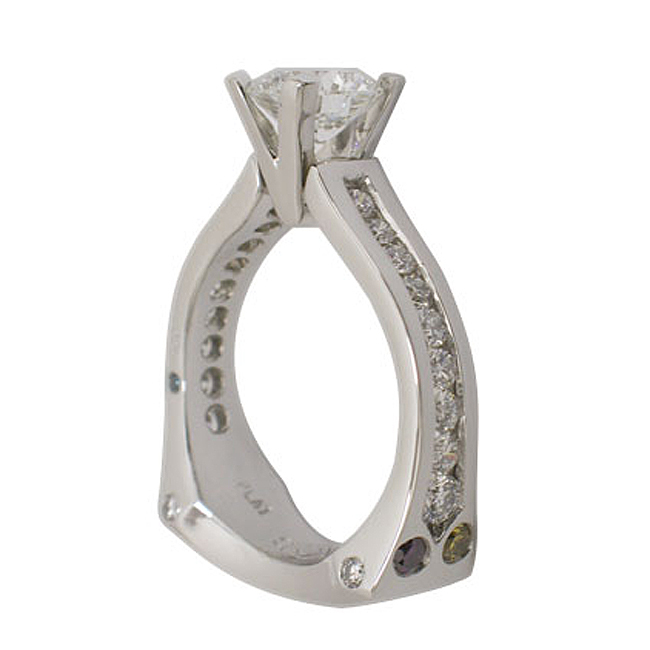 Side Stones: 1ctw Colorless Princess Brilliant Cut Diamonds. 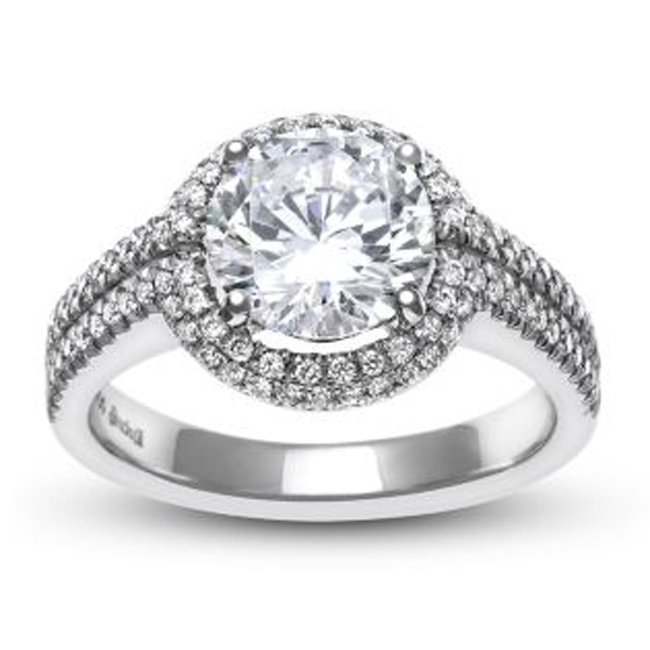 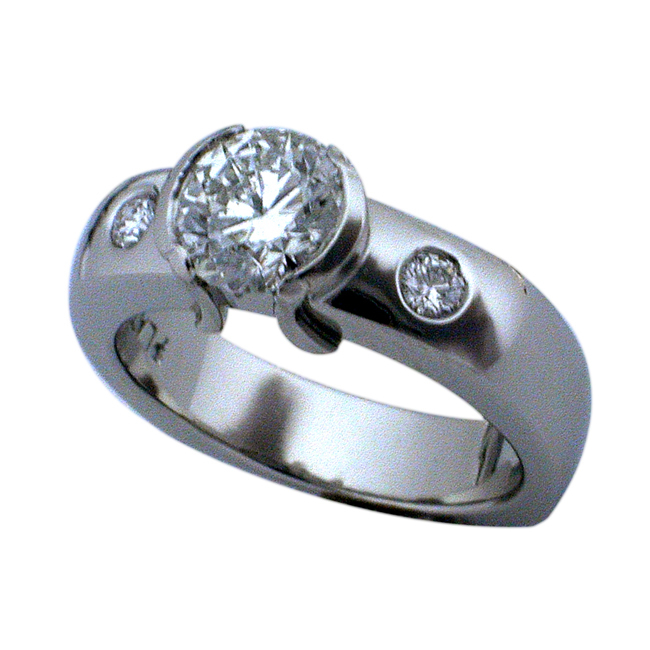 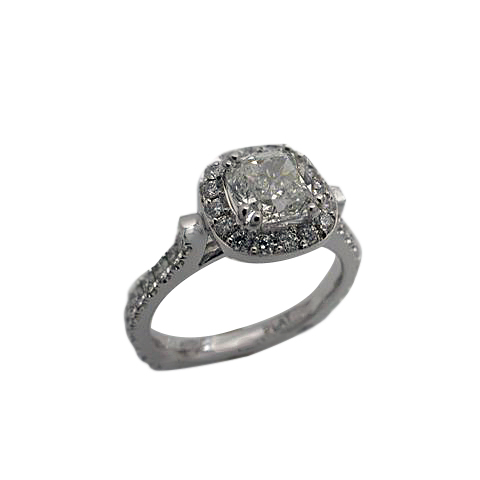 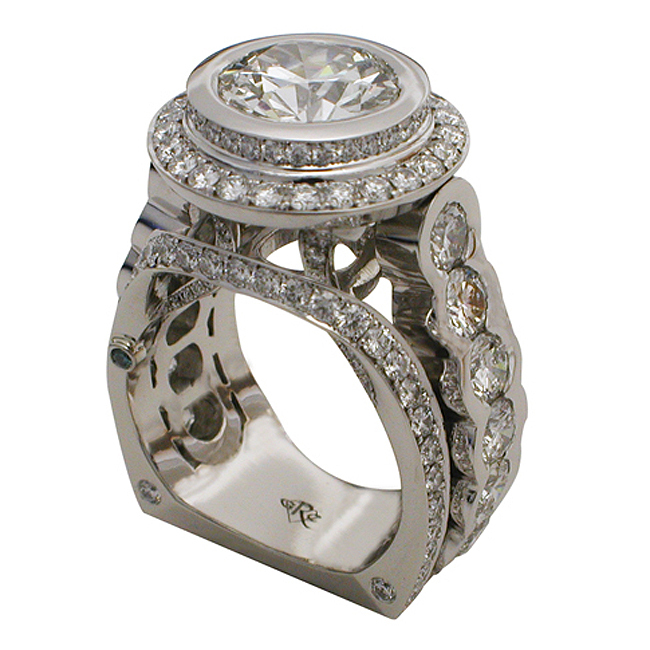 .04ctw Collection Colorless Round Brilliant Diamonds. 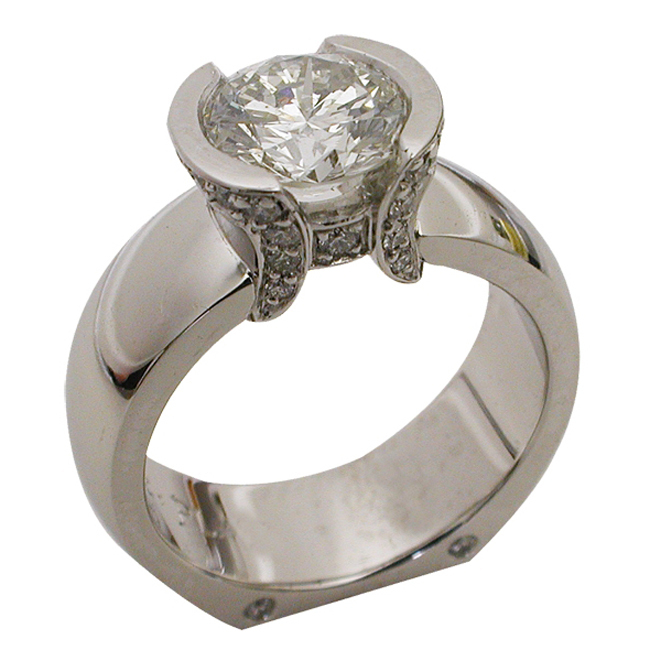 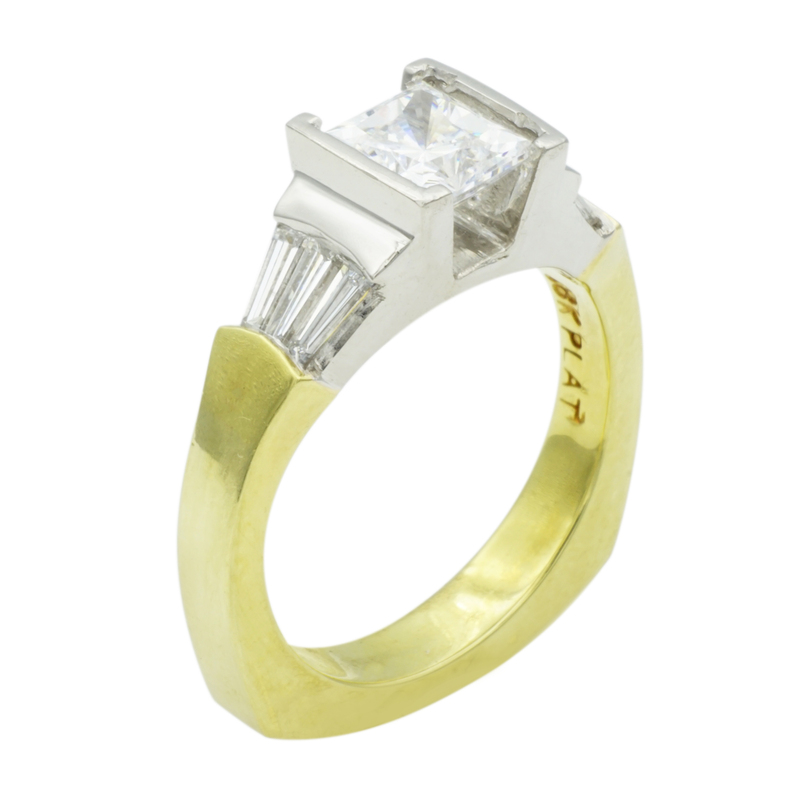 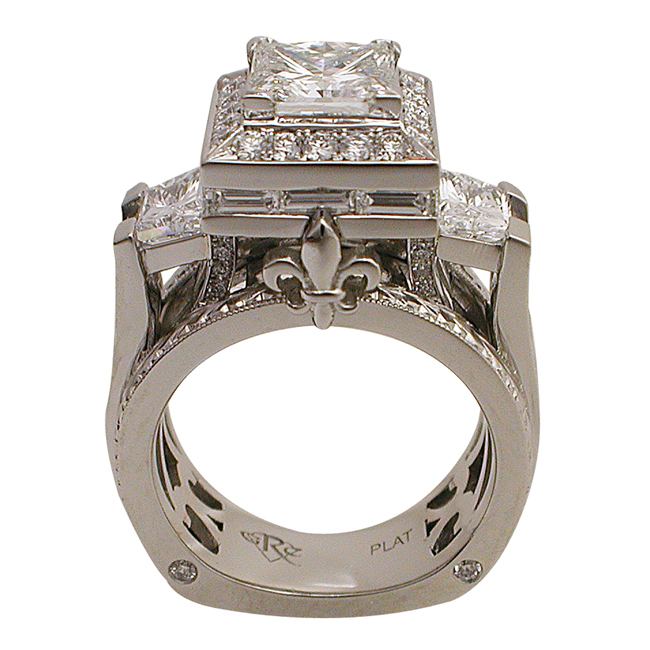 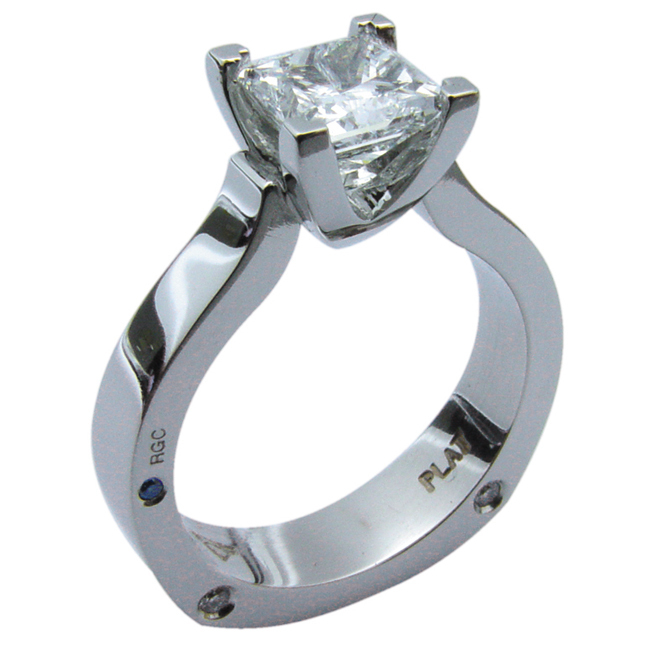 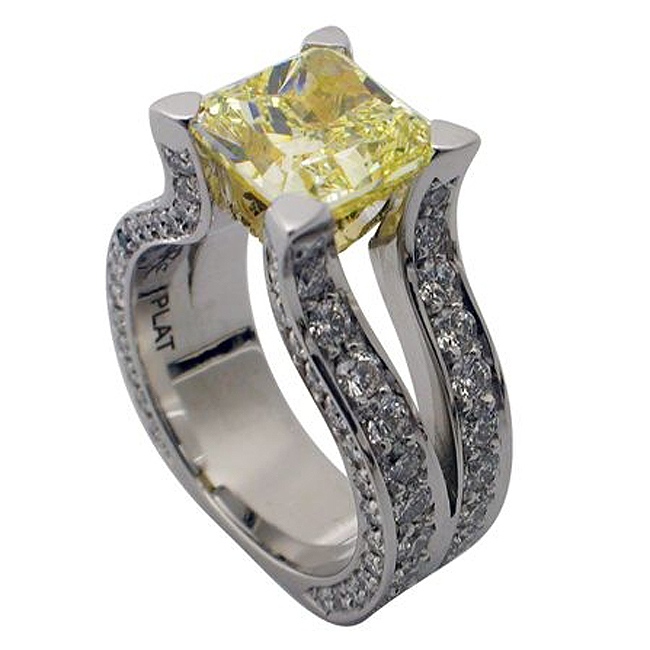 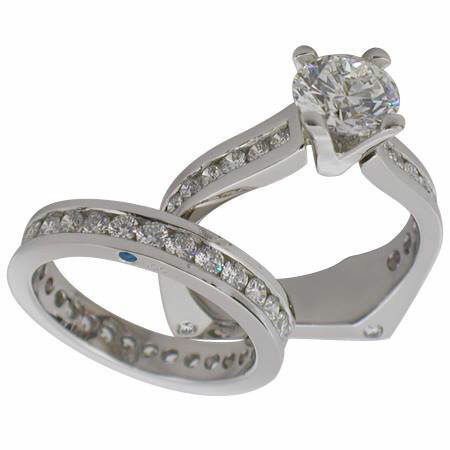 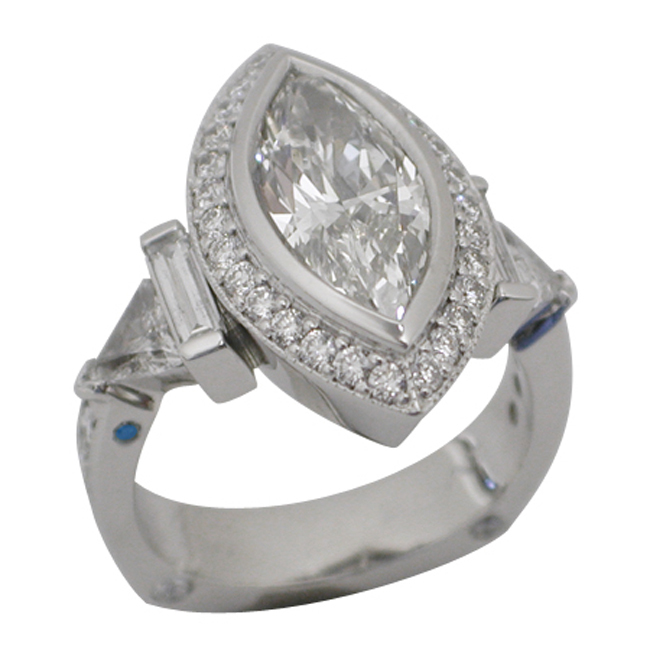 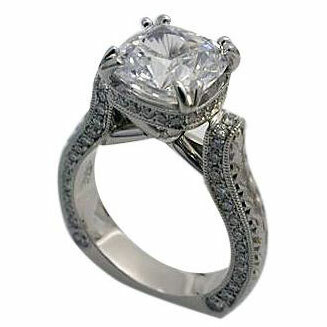 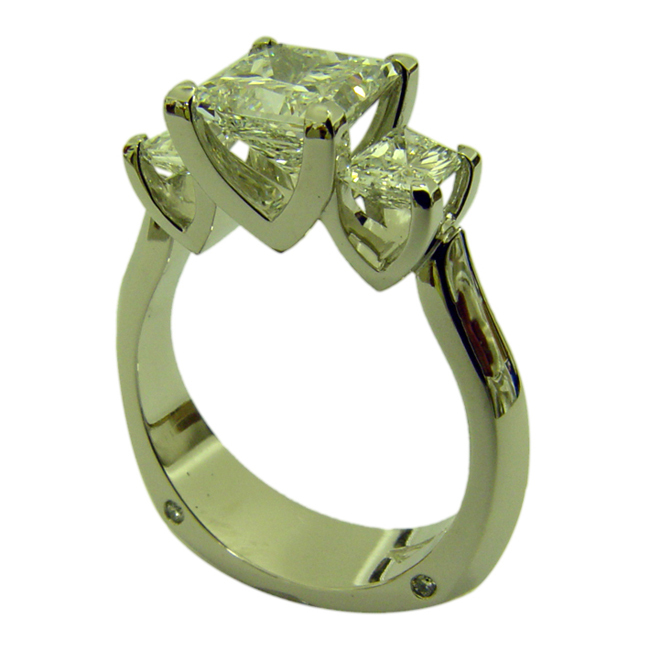 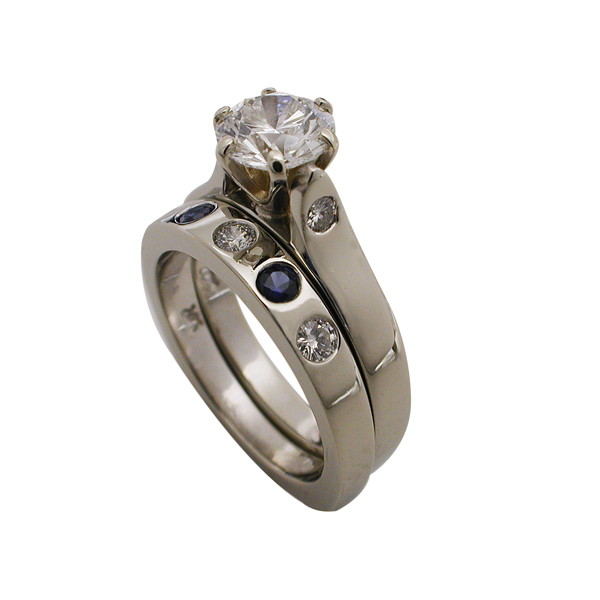 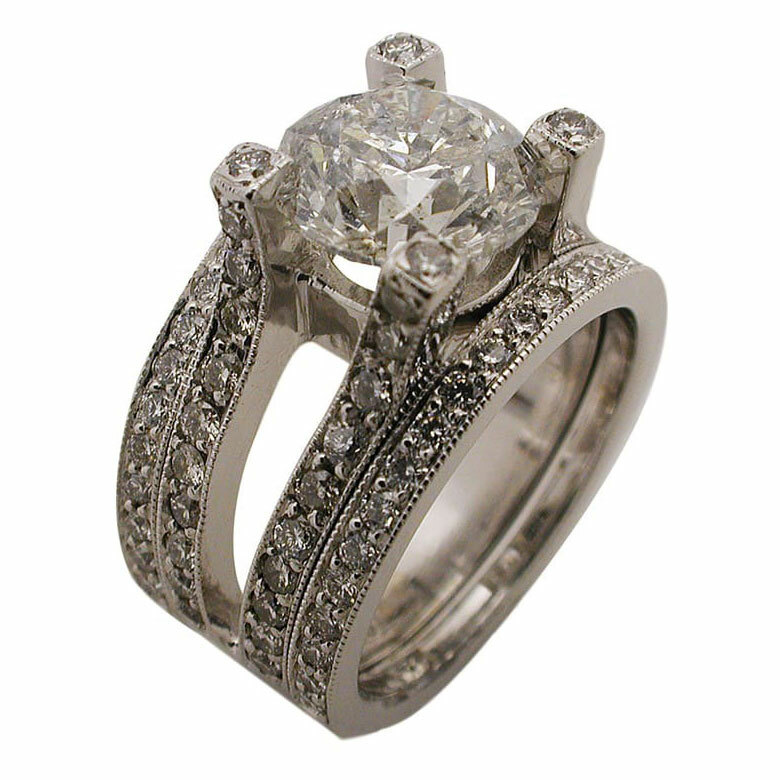 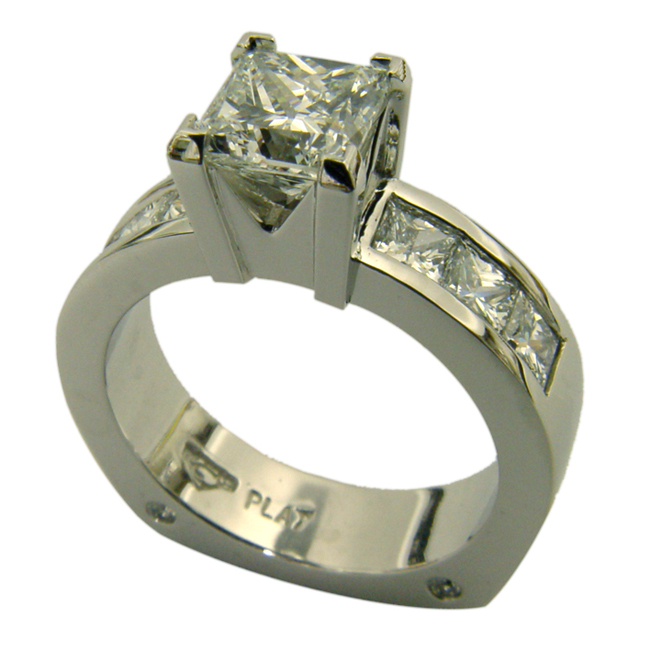 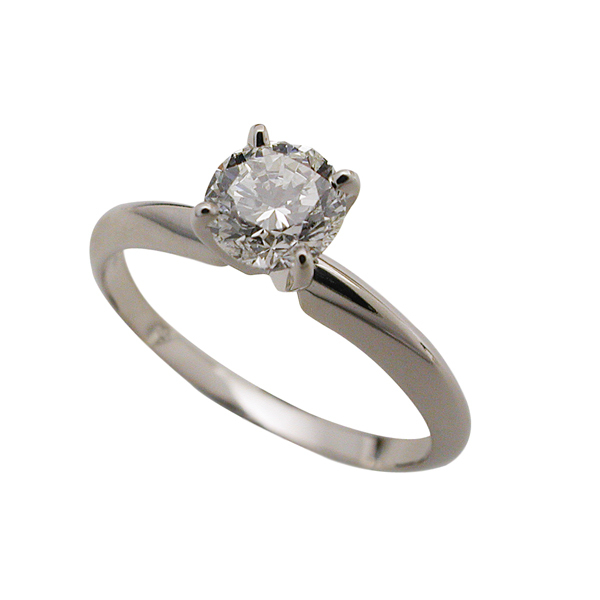 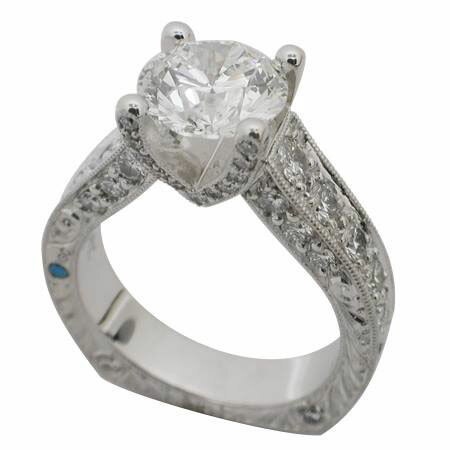 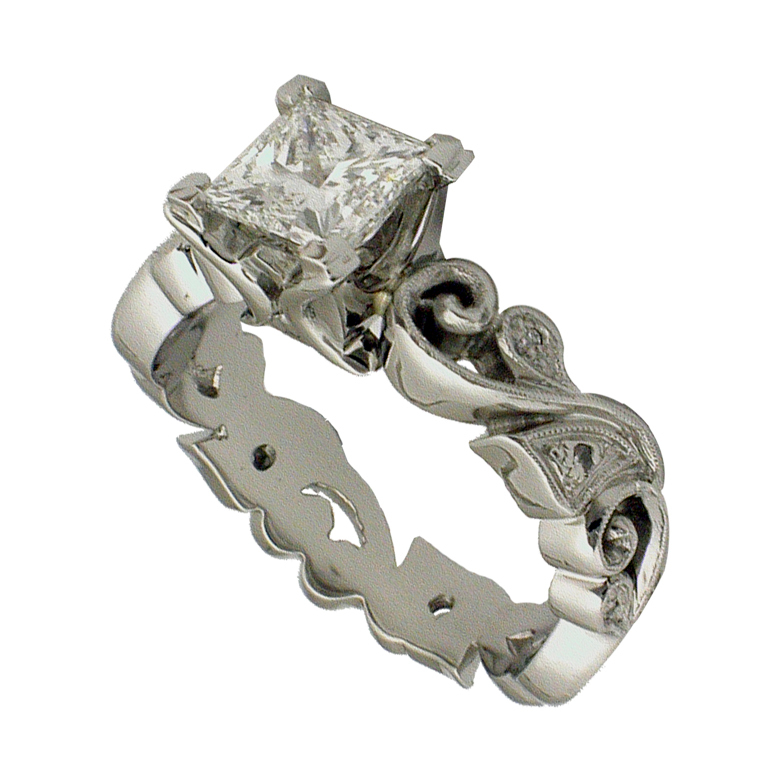 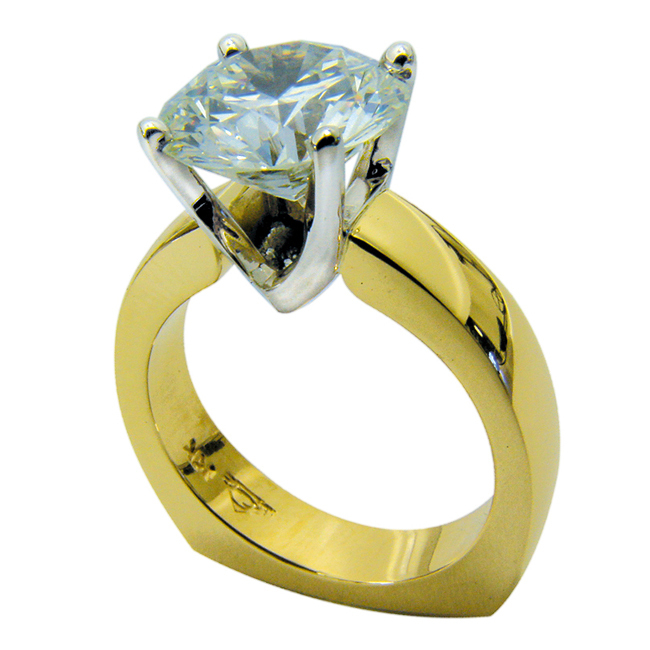 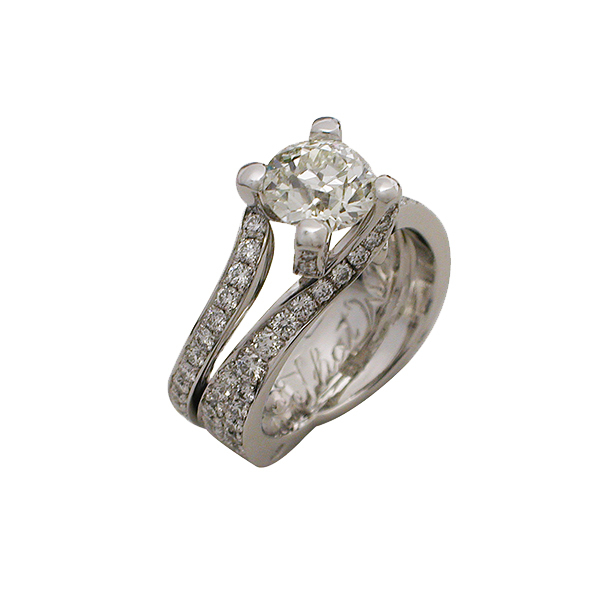 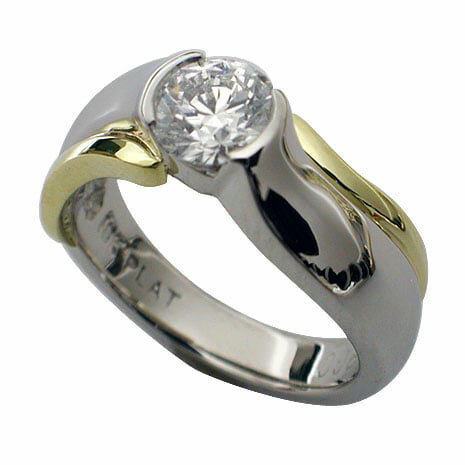 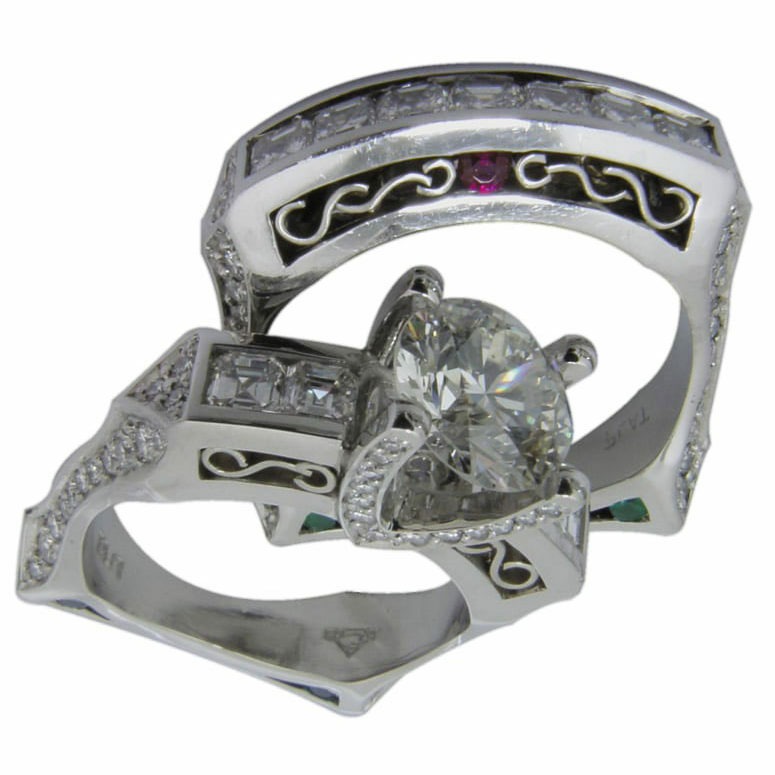 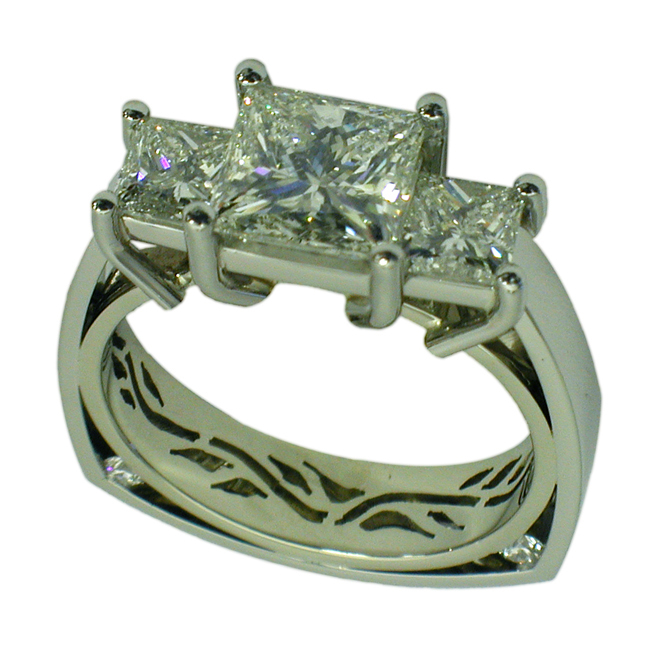 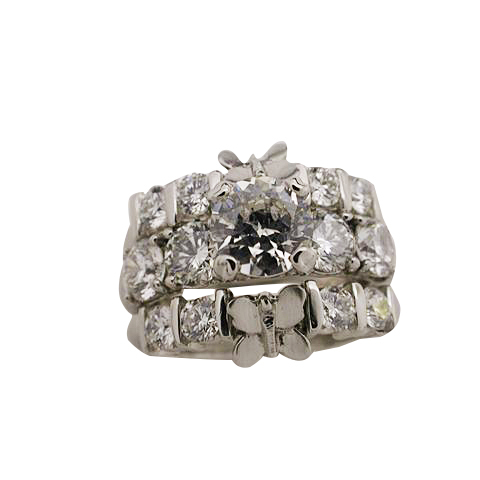 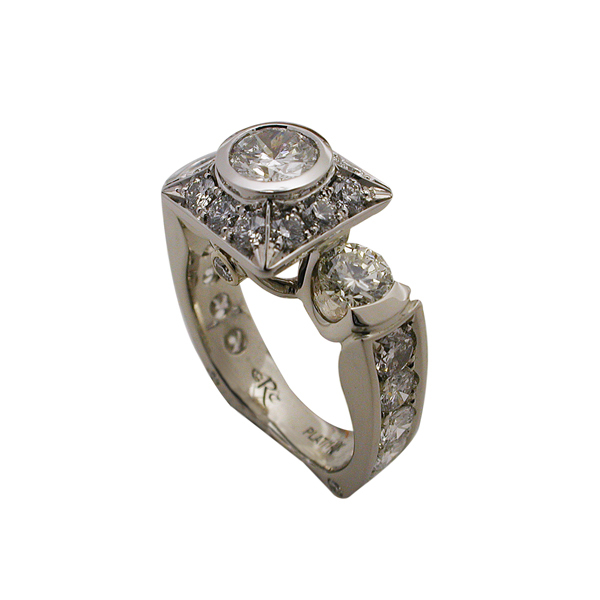 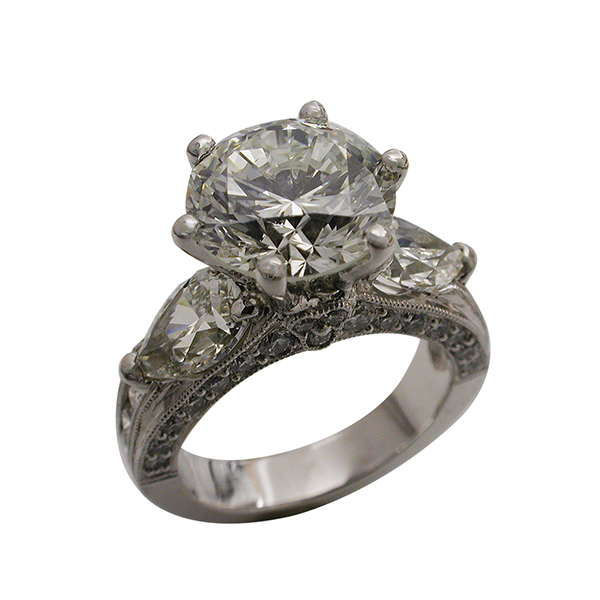 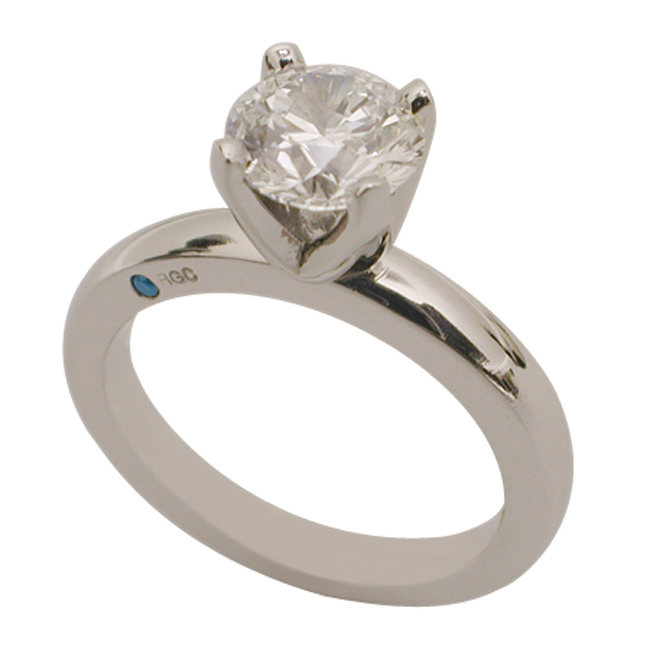 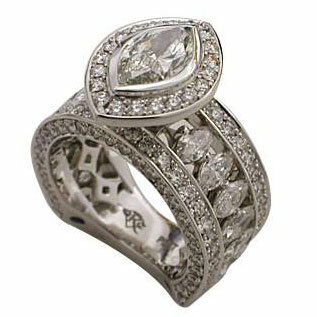 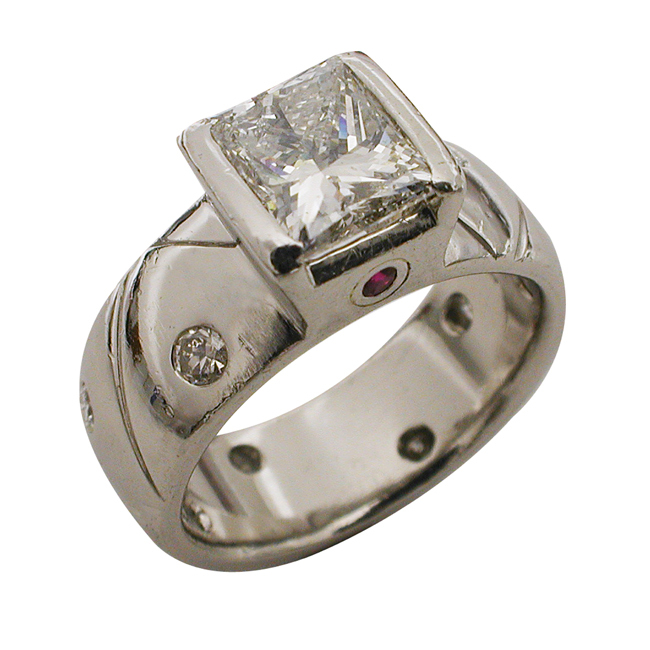 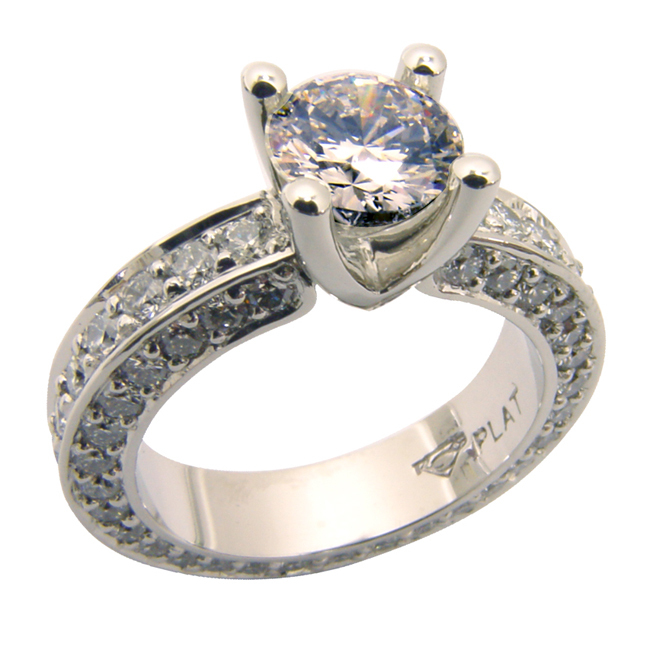 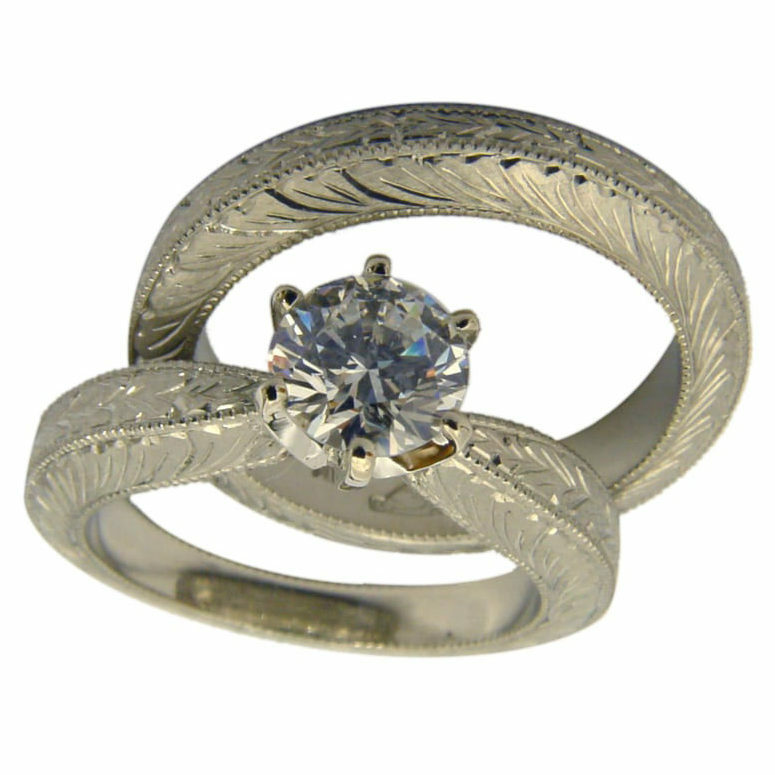 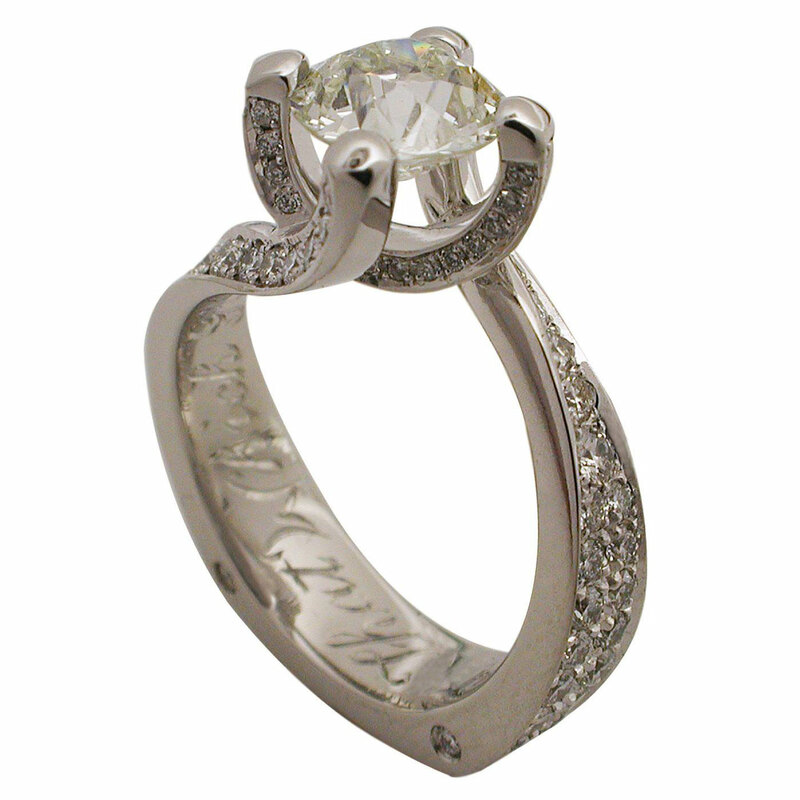 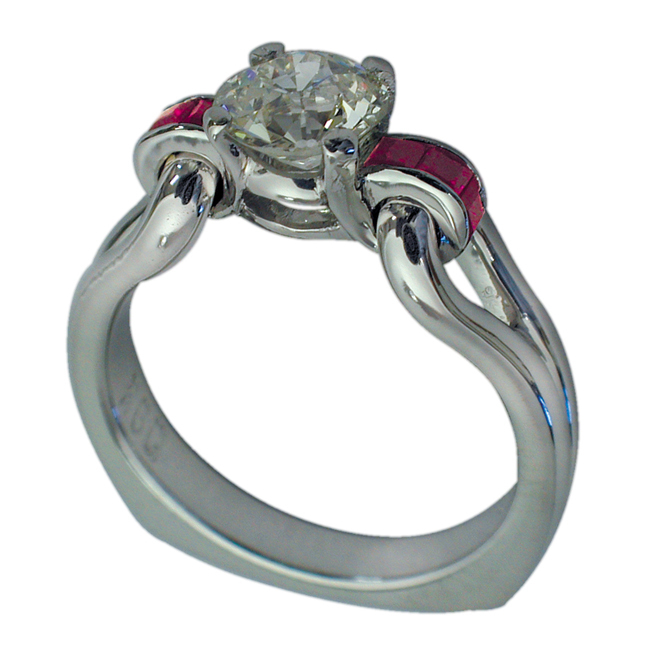 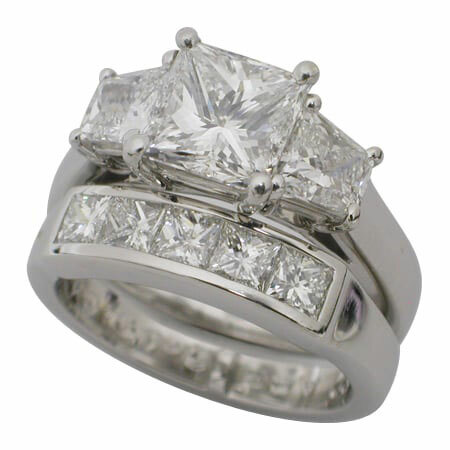 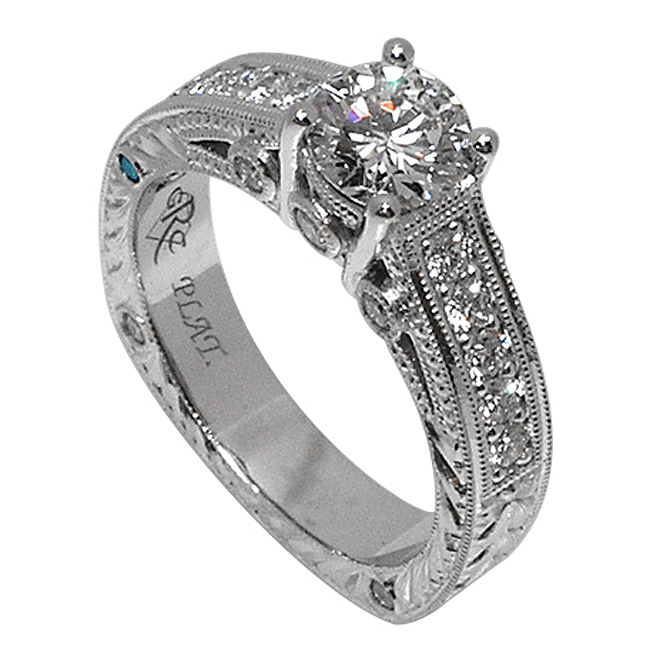 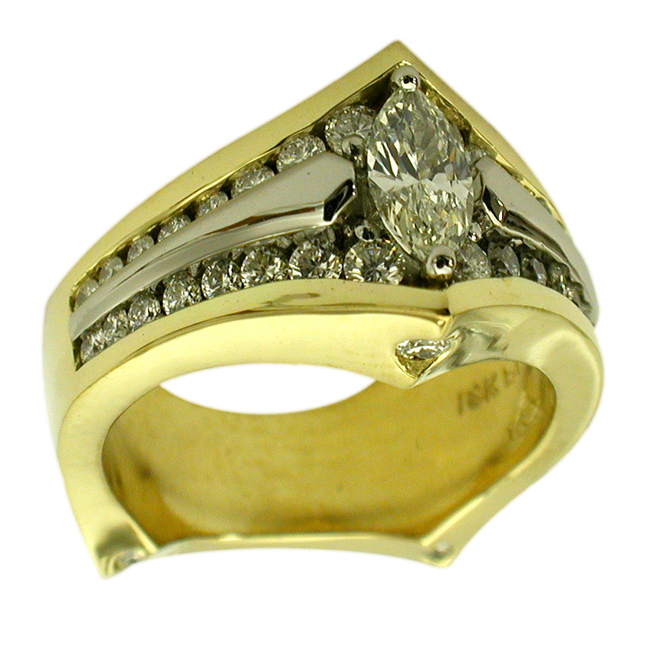 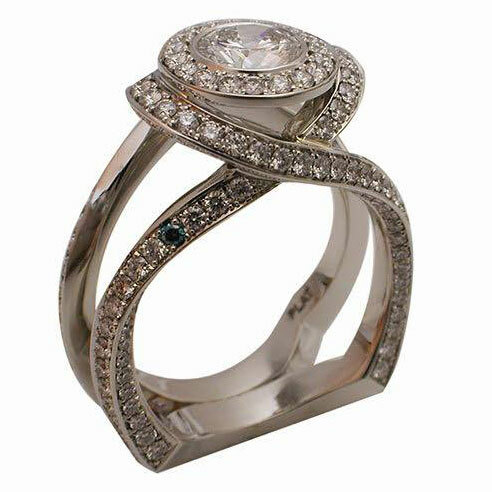 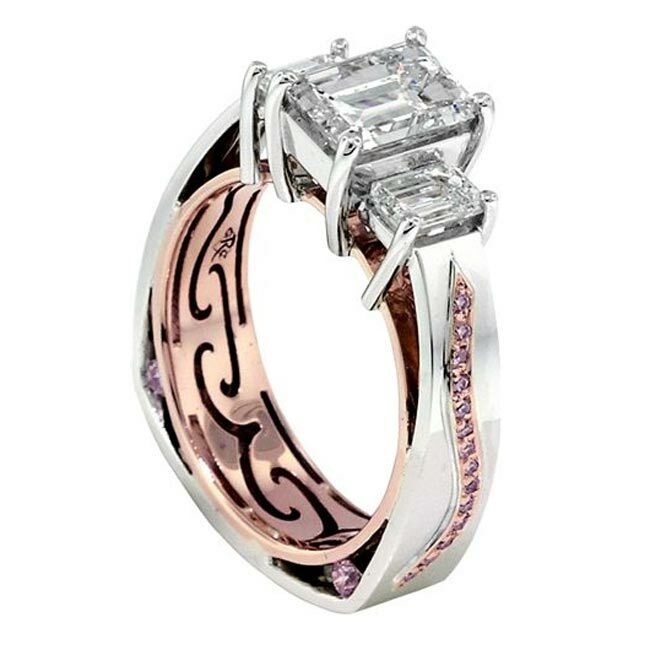 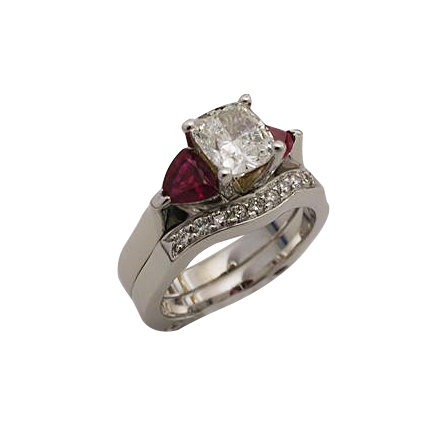 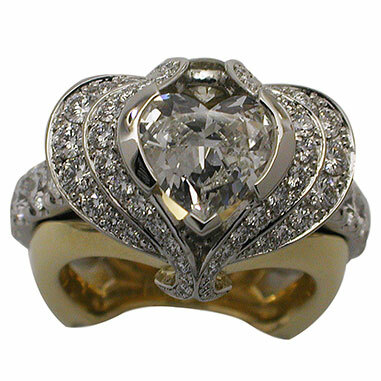 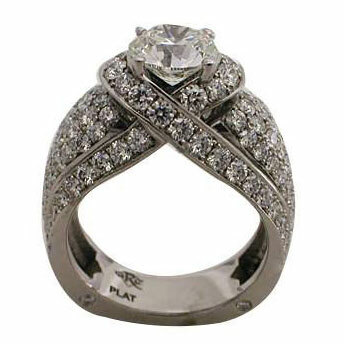 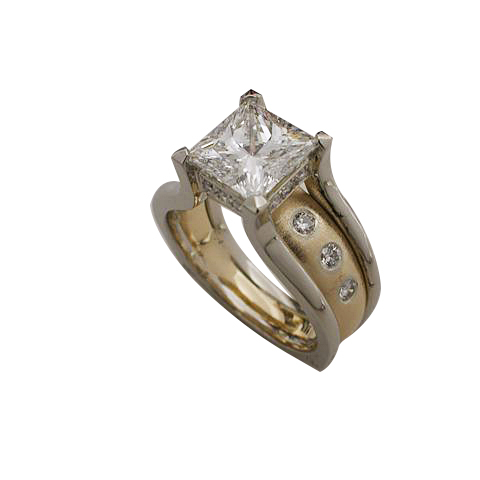 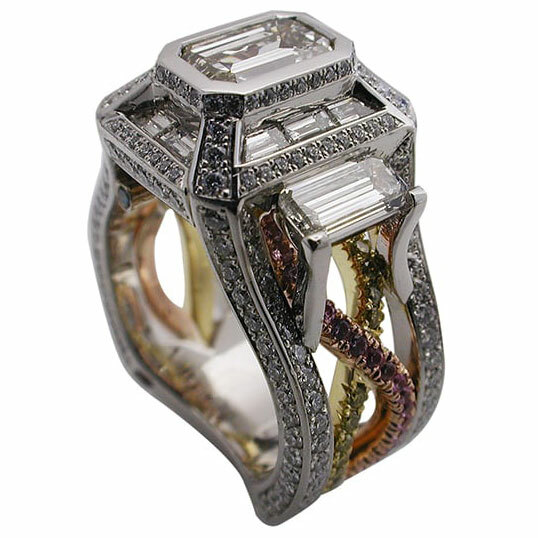 Description: Whimsical three stone princess cut engagement ring with a basket style prong setting. 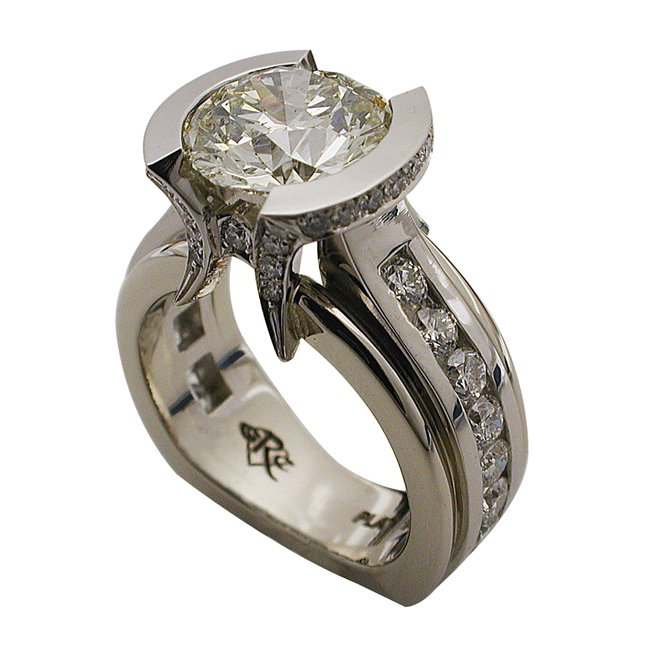 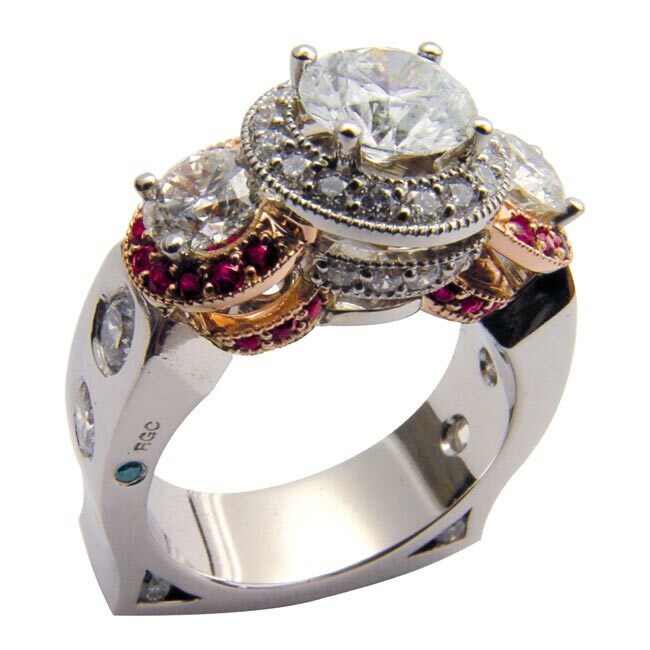 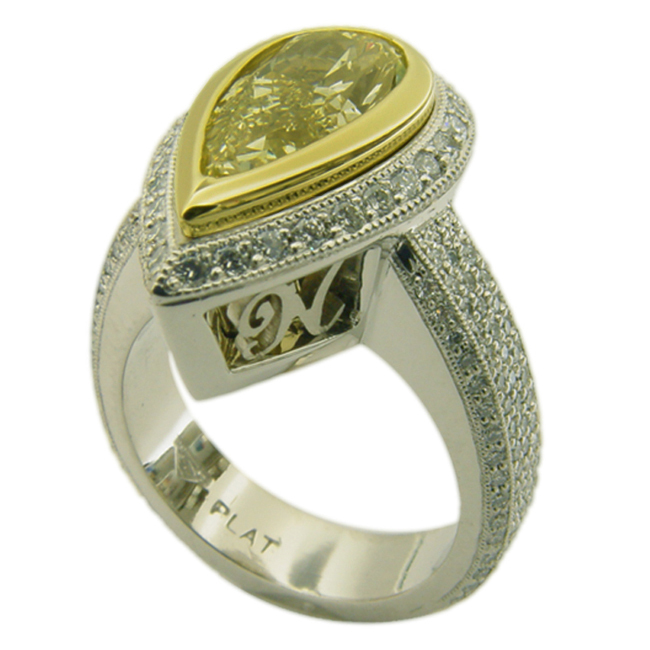 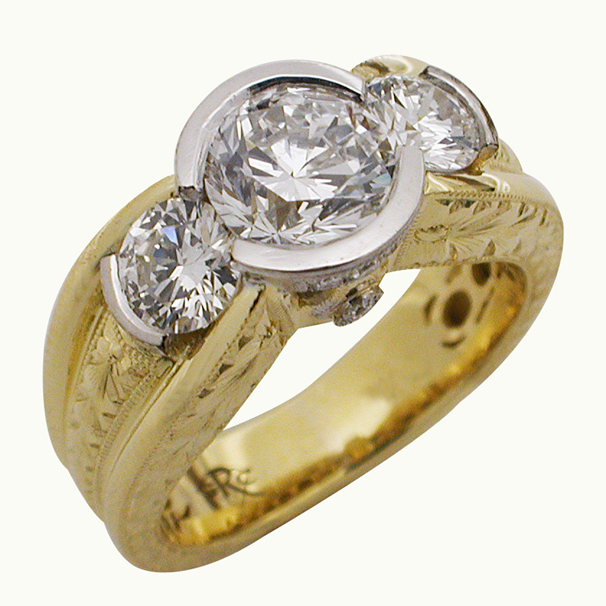 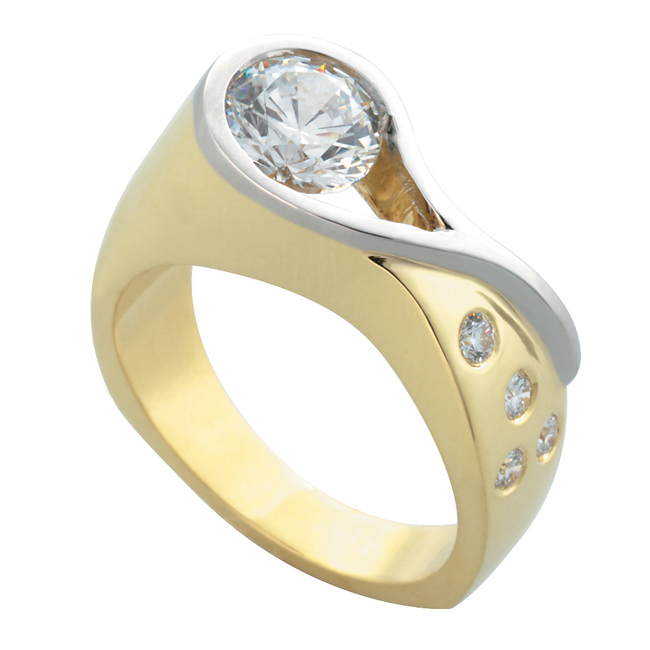 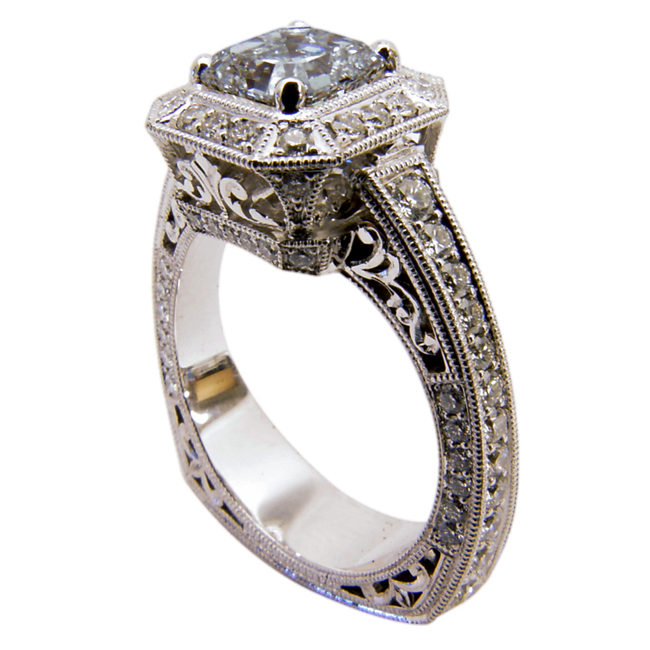 The inner gallery of the ring has a decorative filigree design accented with round brilliant diamonds.